Cybersecurity is sometimes seen as a disaster recovery operation — a situation to be dealt with when it happens. Someone breaks in, and then the company reacts figure out who, what, when, where and how. However, the best way to approach this kind of situation isn’t to sit back and wait for it to happen — it’s to prevent it from occurring in the first place. What if there was a way to know that a breach was about to happen, or if constant monitoring of your system found a hole instead of a hacker finding it? In the near future, this may become a reality thanks to artificial intelligence. 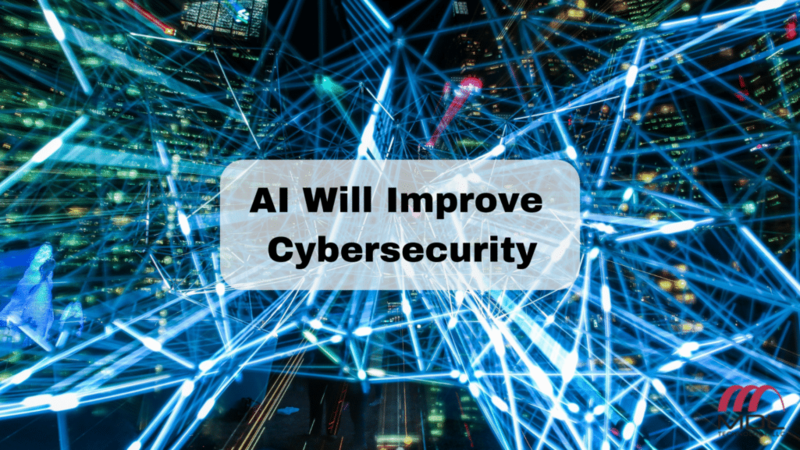 According to AIAA, cybersecurity products are already being fitted with the latest advances in artificial intelligence and machine learning. Experts predict that in the future, machine learning will be incorporated into every aspect of cybersecurity. Healthcare and financial institutions have been hit the hardest, from large companies to small. Small companies have suffered the worst – sometimes being forced to close up after the devastating price that comes with a breach. AI and machine learning hold promise for these companies that need to protect their data. According to SC Media, AI can be an extension of the hands of your IT/cybersecurity team, analyzing massive amounts of company data at lightning speed and detecting errors or inconsistencies that may slip by humans. When it comes to simple problems, AI and machine learning will be able to prioritize the problems and even fix some that are simple issues. This frees up the security team to focus on bigger issues that cannot be handled by technology. AI and machine learning are not a fix-all to a company’s security team and will by no means be able to replace them. According to SC Media, these systems need reliable data to base their conclusions on, which is provided by humans. It’s also not uncommon for these systems to make a false reading and not have the capacity to explain how and why that happened, which is where humans will come in to investigate the problem and figure out the reason it happened. In the end, there will always still be a need for talented professionals in the cybersecurity field who can find solutions to security problems, and AI and machine learning will be a great addition to your company’s cybersecurity tools.